If anyone has a panel.cfg that has already been tweaked to display the F1 gtn in the VC panel I would appreciate it if they could kindly post it here. You can cancel - problem solved. You have been struggling with this for some time. For the benefit of someone else who be having the same problem, what was the solution? Once you download the panel.cfg from the F1 library and drop it into the panel folder, you do not have to do anything further to that panel.cfg file - it is complete. 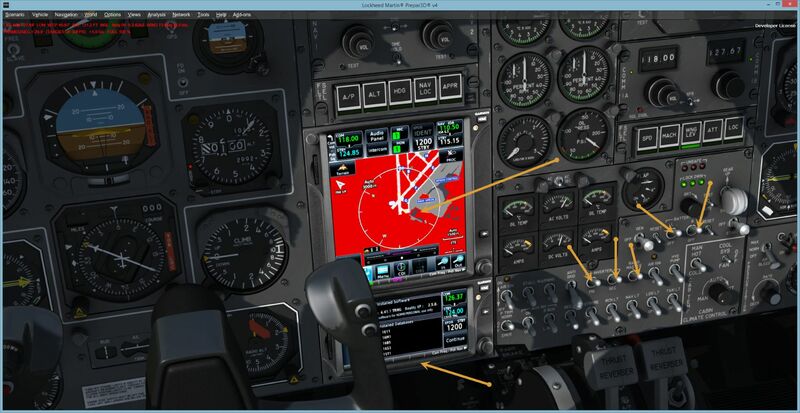 How you change the panel from the stock panel to the gtn panel, there is a small (not easily visible) button just to the right and under the autopilot panel [directly below the right screw that holds the autopilot control panel in place] that you place to cycle through the panel options identified in the panel.cfg file. It is visible in the above noted capture if you look closely. If you check the User Manual page 8 (current version) it further explains that. I'm afraid I was out of simming for 5 years - so I'm sure most of you have already leared that.